It has been awhile since I posted and I hope you didn’t go far. I started a new project yesterday that is actually from my 2012 collection. 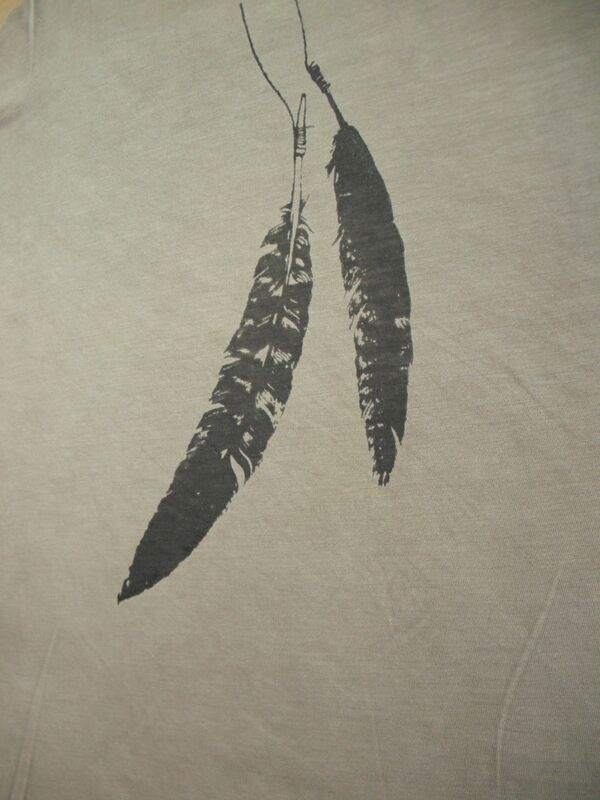 The feather tee was originally made with a rust print that I had a friend make for me from a scanned image of turkey feathers. His name is Garrett Price and he is a great artist that works with steel and etching. He made me a etching that I rusted and I got a great first print but the second started to loose detail and the third was no good. So instead of being wasteful and having him make me a new etching every two prints I asked him to make me a silkscreen instead. 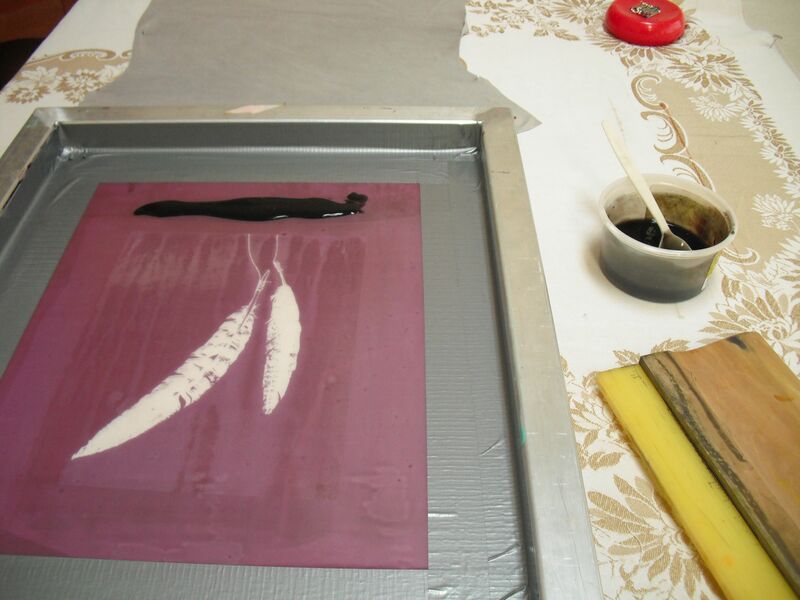 So now I can thicken the natural dyes and make many prints of the feather tee. I love it!! Here are some images of the process.